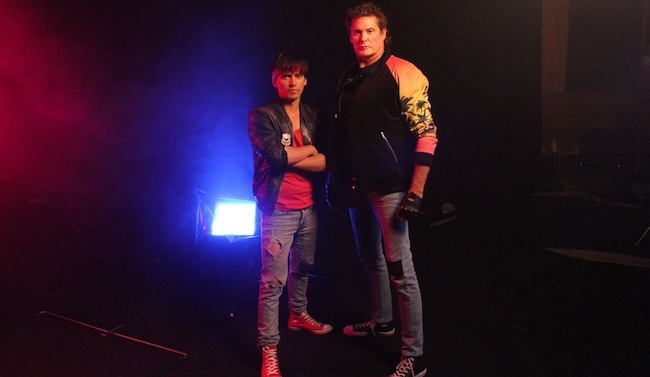 This week, actor David Hasselhoff lent a hand to the filmmakers behind the epic "Kung Fury" movie by starring in an over-the-top 80s themed music video called "True Survivor." 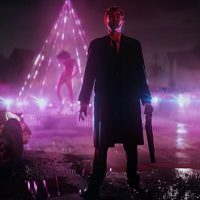 Receiving over $630,000 in donations on Kickstarter, "Kung Fury" became an international sensation and put Swedish director David Sandberg in the spotlight. The trailer for "Kung Fury" has garnered over 8 million views since being uploaded and now thanks to a special collaboration, David Hasselhoff has become part of the project to promote the film's release in May. "True Survivor" takes audiences back to the 1980s with a smoke filled montage of leather jackets, SEGA style fighting, and David Hasselhoff walking through explosions. "Kung Fury" will be released on Youtube May 28th along with the full soundtrack.